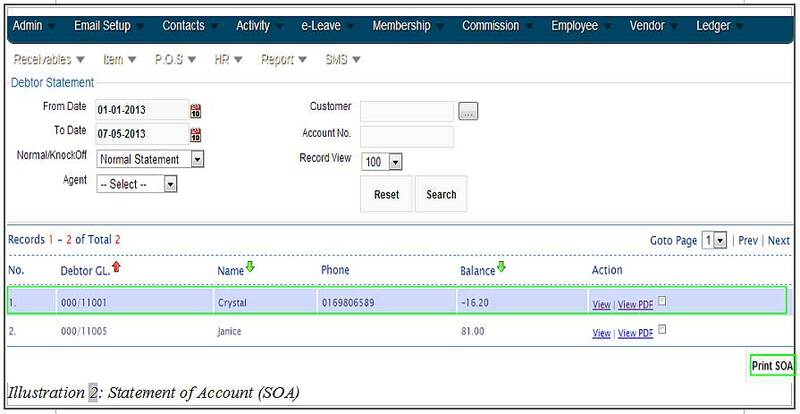 BMO Online Inventory Malaysia allow you to create a Statement Of Account (SOA) which allow you to view all the transactions, invoices and others. In this tutorial, we will guide you on how to view SOA in report. 1. Firstly, go to Receivables > Reports > Statement of Account. 2. You will be redirect to a new page. 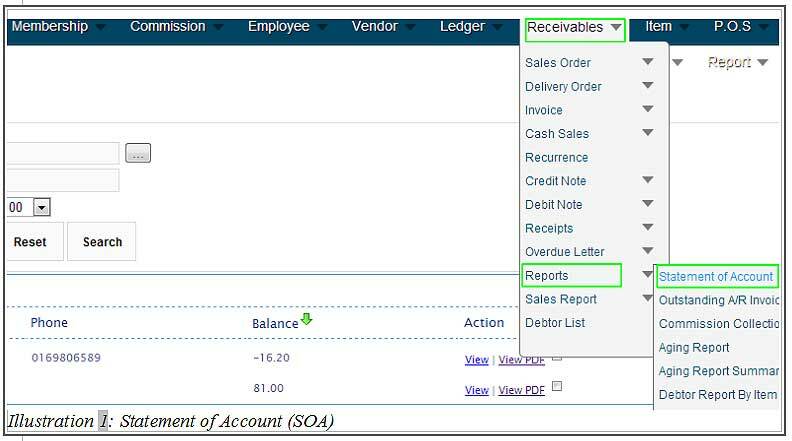 From here, you are able to view the statement of account (SOA). Other than viewing the SOA, you are able to print the SOA.